I was asked how this election happened and I think these maps and charts from US Today are pretty clear. 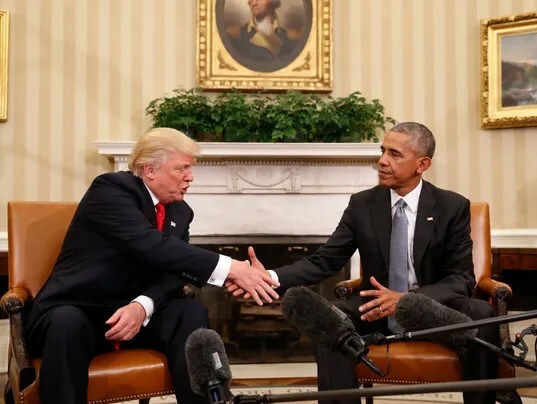 A wave of disillusionment and anger — wide and by all appearances intensely felt — secured the presidency Tuesday for Donald Trump. A wave of disillusionment and anger — wide and by all appearances intensely felt — secured the presidency Tuesday for Donald Trump. He won by turning out victories in a wide swath of the United States, a base of support broad enough to secure him a strong majority in the Electoral College even though he lost the popular vote. Source: Associated Press, as of 4:30pm EST, Note: Alaska does not report county-level results. He benefited from an eight-year shift toward the Republican Party. Comparing the margin of victory to the 2012 election, we can see that Trump outperformed Mitt Romney heavily in large portions of the country. The places where Hillary Clinton improved on President Obama’s 2012 numbers, while often populous, were insufficient to give her the votes to clinch victory in battleground states. 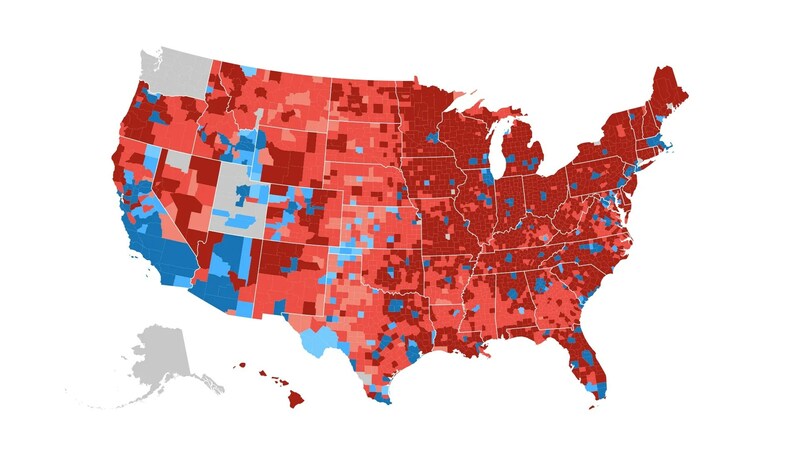 Looking back even further, compared to the 2008 election, this trend is even more pronounced, as many counties, even traditionally liberal ones, have moved significantly to the right over the past 8 years. This map shows how Trump improved on John McCain’s margins in 2008. 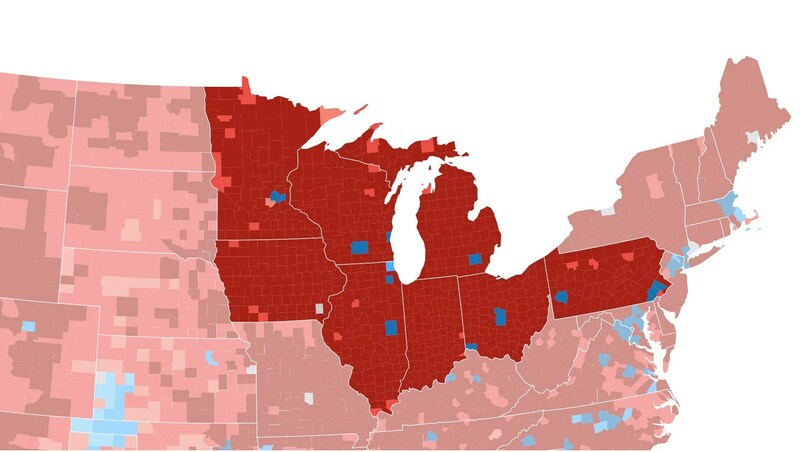 Trump connected with voters in key portions of the Rust Belt which was the location of four key states that would be won or lost by thin margins: Michigan, Ohio, Pennsylvania and Wisconsin. Republican support in counties with the highest percent of the working population in manufacturing jobs. 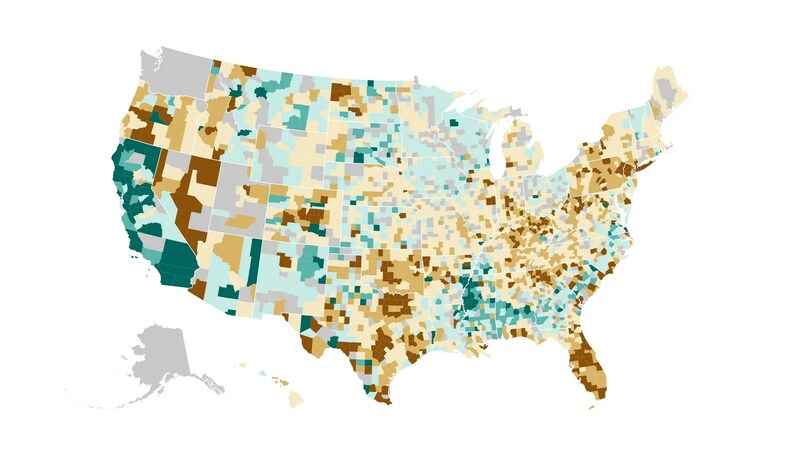 Republican support in counties with the largest decreases in unemployed popula- tion rates from 2010 to 2014. Percent change in voter turnoutSource: Associated Press, as of 4:30pm EST, Note: Alaska does not report county-level results. Exit polls revealed a nation deeply divided. 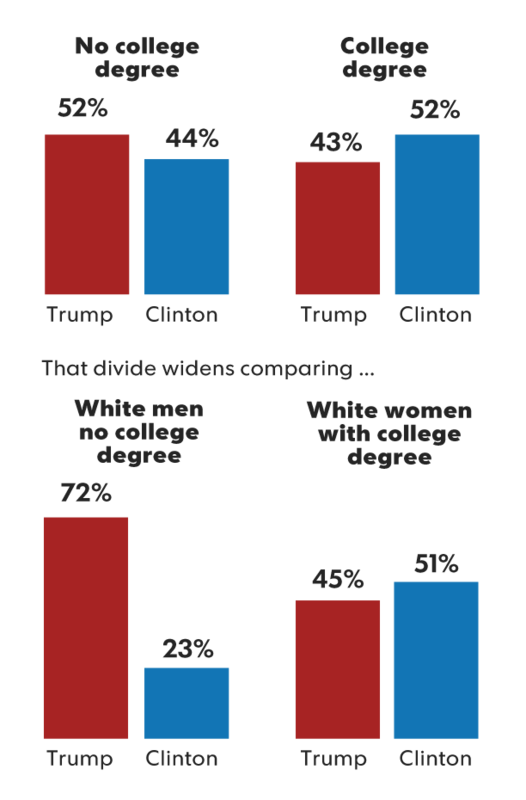 Men and those without a college education went strongly for Trump. Women and those who had a degree backed Clinton. It wasn’t the economy that drove voters’ decision this year. Instead, it was distaste — and often anger — at the way the fed- eral government is doing its job, and a deep sense that the USA is headed in the wrong direction. That was enough for voters to throw their support behind a first-time candidate who many of his sup- porters said they did not like or trust, or who they judged unfit to hold the office. This entry was posted in Uncategorized, USA and tagged 2016 Election in US, Barrack Obama, Democrats, Donald Trump, election, Republicans. Bookmark the permalink. Excellent facts put out here, Anne. Great job! A lot I didn’t know about! Thanks for the breakdown of the stats. You are most welcome. Makes thing clearer! No question that there was surprise and emotion all around. I just hope that there will be healing and ultimately more understanding. Ironically, where the rioting is happening , these cities voted for Mrs. Clinton so the businesses being destroyed are probably owed by likeminded people. There so needs to be a better way. Thanks for your thoughtful comment. I agree. Thanks! Enjoy your day. You ,too! I am ready for spring! Guys an idiot. But Clinton would have kept paying Israel..Trump will stop funing Israel and other Countries to the tune of £1B a day….. I hope Trump uses this extra money for free Healthcare and Free education. In my culture ALL Education and Healthcare is free, be you rich or poor. We pay our kids to stay on at School when they get to 16 years old, even people as old as 70 years old are paid if they want to go back to education. I could not imagine living in a nation where my biggest worry was “Can I afford my Health bills”…. But like I say, THANK THE LORD I live in Scotland…. America is HATED why? Because your Government cause Wars and deaths all over Earth. For the love of ALL THINGS GOOD…People need to see this Anne..